Fast, VTEC engine is addictive. It's thirsty and lacks steering feel. 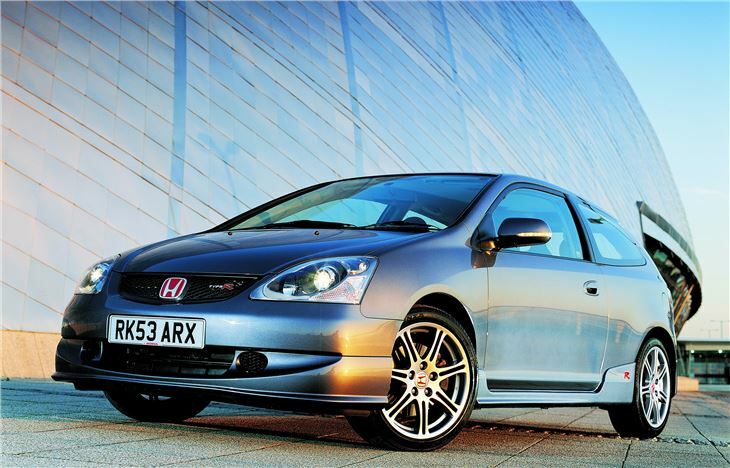 Reader quoted £3,000 to replace a corroded exhaust system on a 2004 Type R, so this is something to check carefully if buying one of these cars. I tested the new, British-built Honda Civic 5-door model last November, praising its useful, clever, practical MPV-like interior. It has an excellent NCAP 4-Star crash safety score and offers the best pedestrian safety of any car yet tested. It's been a roaring success, second only in the UK sales figures to the Ford Focus. 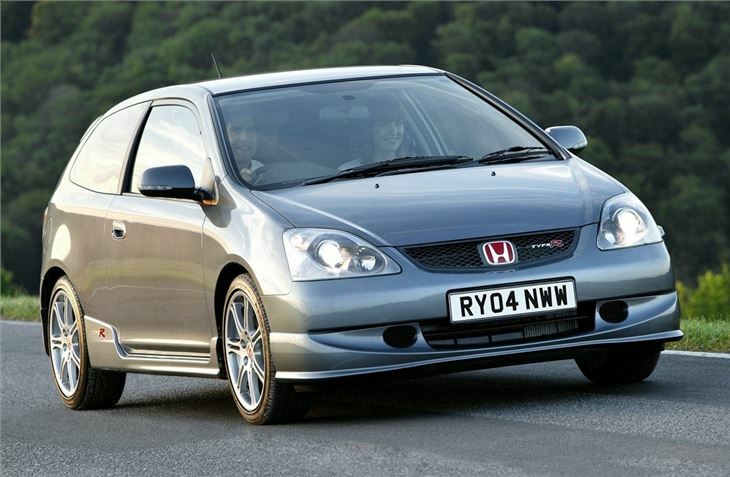 And, of course, this is not only good for Honda, it's good for Britain. But the 5-door Civic is a wholly practical, sensible car, ideal for families and in particular for mums with young children. Its transmission-tunnel-free flat floor gives easy access to the back seats or the nearside kerb. To appeal to younger 'Dual Income No Kids' customers, Honda needed something more sporty. So the company cut nearly six inches out of the Civic's length and two inches from its height and came up with a really attractive, different-looking 3-door hatchback. Some of the practicality of the 5-door vanished with the appearance of a console extending from the bulkhead to the back of the front seats, so no more easily sliding across to get out of the passenger door or nipping between the seats to the back to attend to the little darlings. This is a car for couples who aren't even married yet, let alone proud parents. The console isn't altogether pointless, however. It has a useful lidded gubbins compartment which contains a sliding second pair of drink-can holders (the main one pops out of the dash by the driver's right hand).